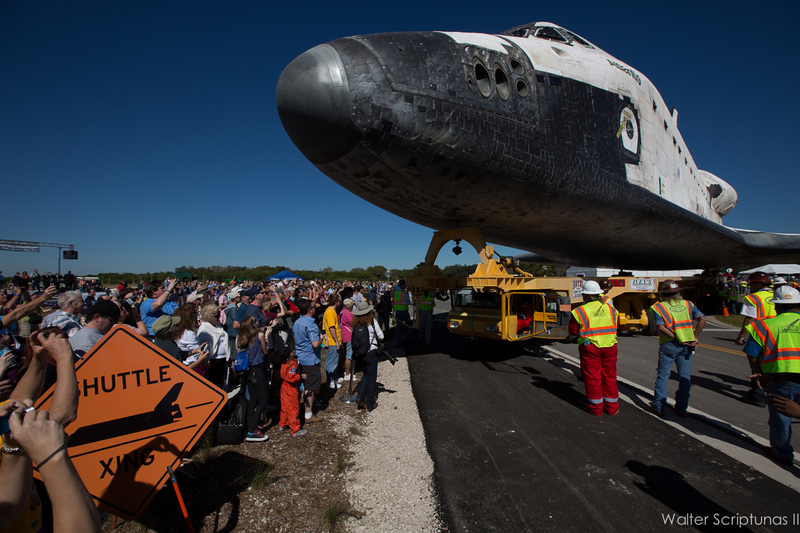 Closing out the space shuttle era at the Kennedy Space Center forever Friday, Atlantis was hauled outside the confines of America's human launch site and driven to the neighboring Visitor Complex for permanent display, marking the first time since 1979 that the Florida spaceport no longer possesses an orbiter for the facilities at Complex 39. 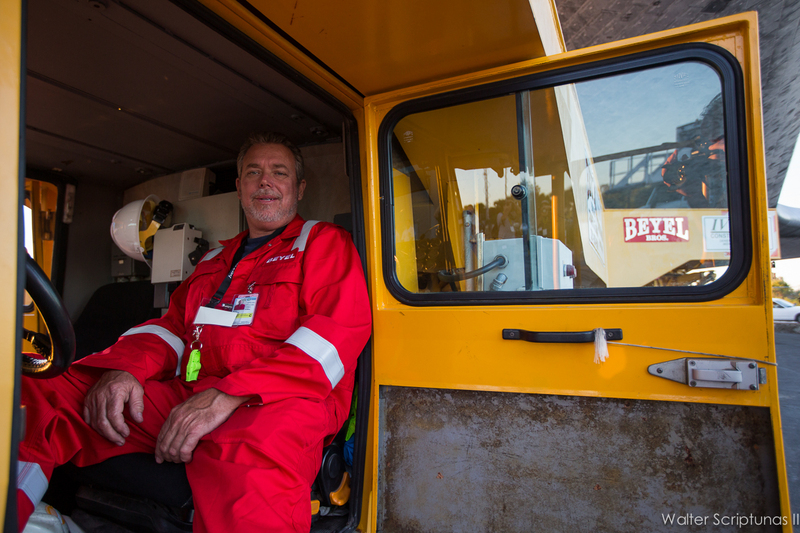 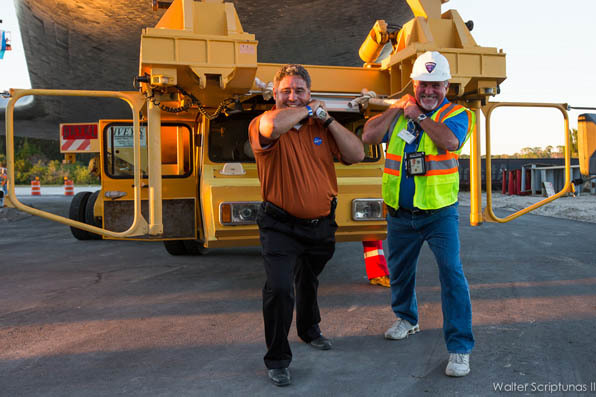 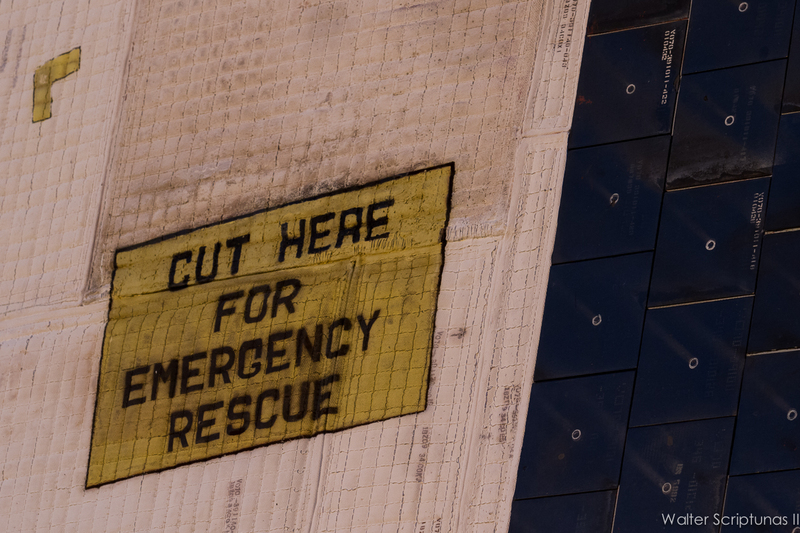 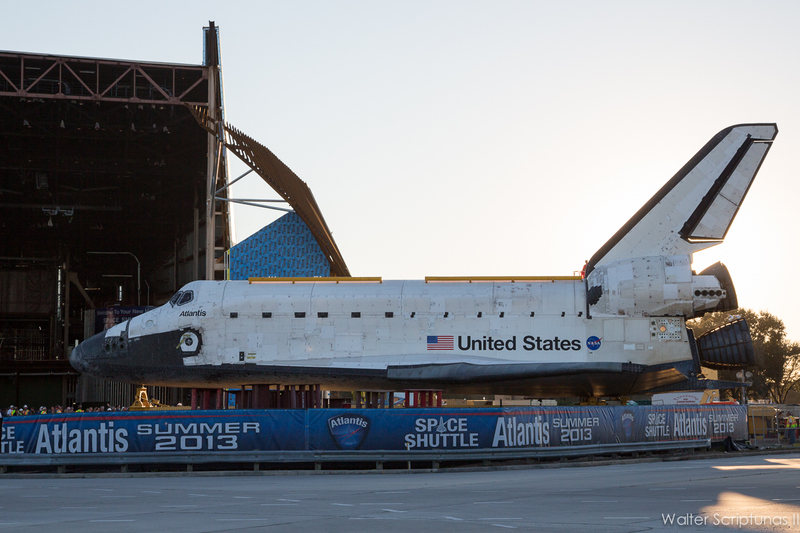 But the sentiment around the spaceport Friday was: "Don't cry because it's over; smile because it happened." Atlantis began the 9.8-mile trek at 6:30 a.m. EDT, leaving the storage bay in the northwest corner of the Vehicle Assembly Building, then headed down State Road 3, east on 405 where a retirement ceremony was held near the KSC Headquarters building, down Avenue C and across 5th Street to exit the space center gates before stopping at Exploration Park for a three-hour public viewing opportunity. 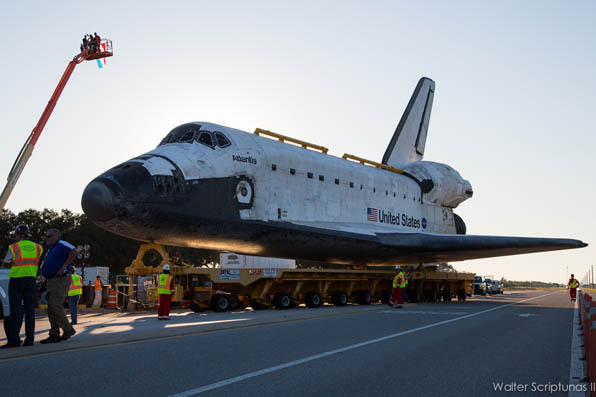 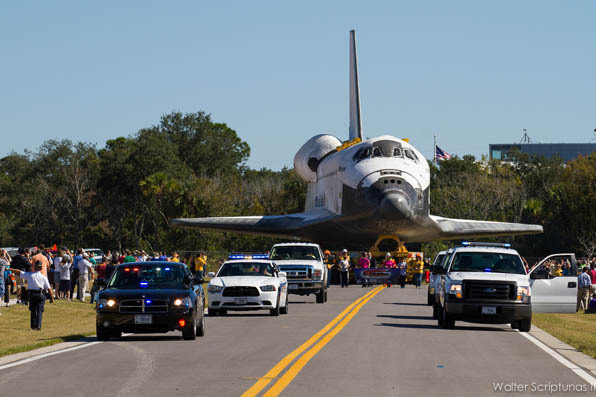 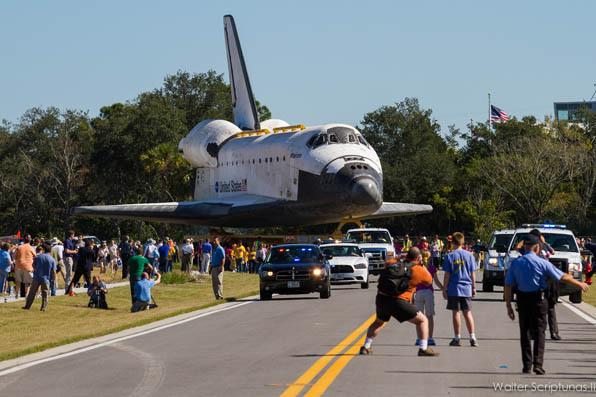 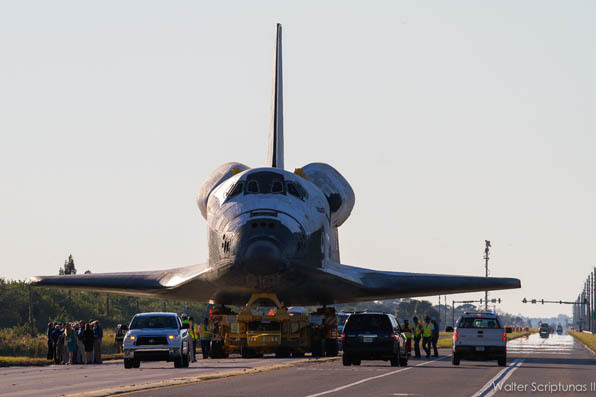 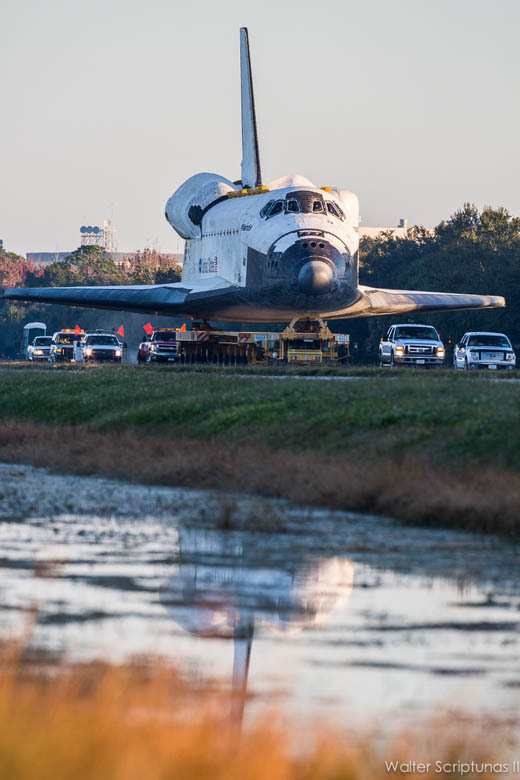 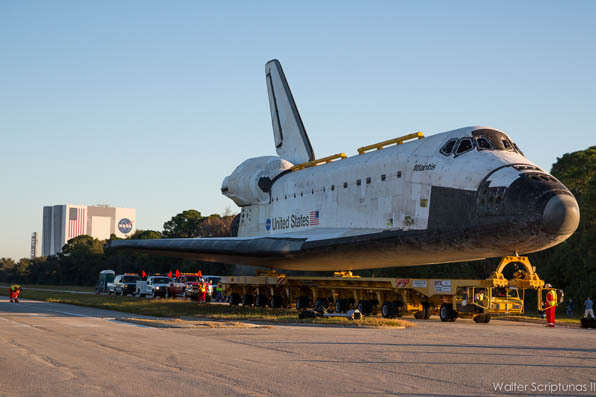 The trip resumed at 3 p.m. to take Space Commerce Way over to 405, turning east for the final stretch to the KSC Visitor Complex, pulling in at 6 p.m.
See our coverage of Atlantis' delivery. 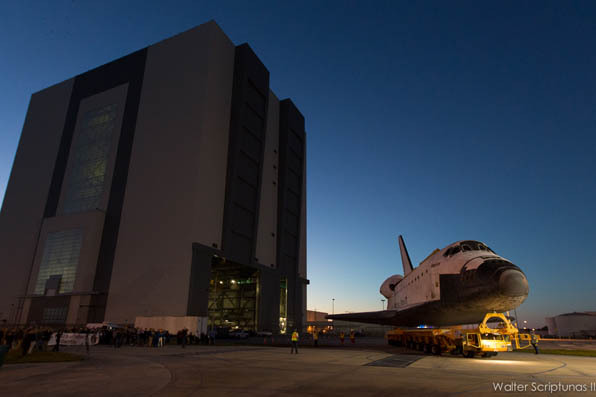 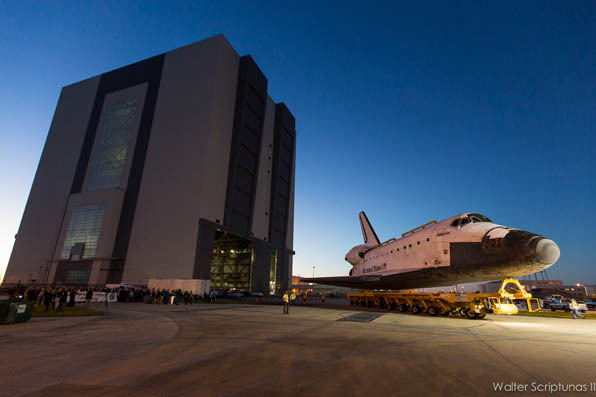 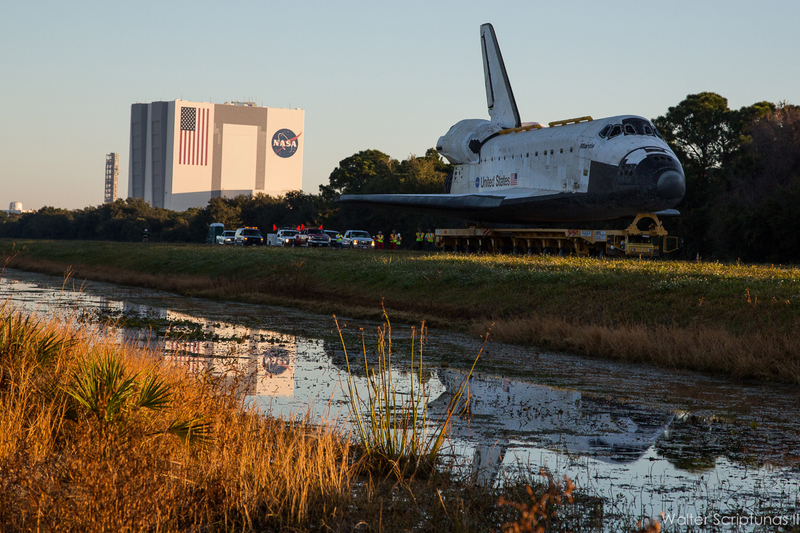 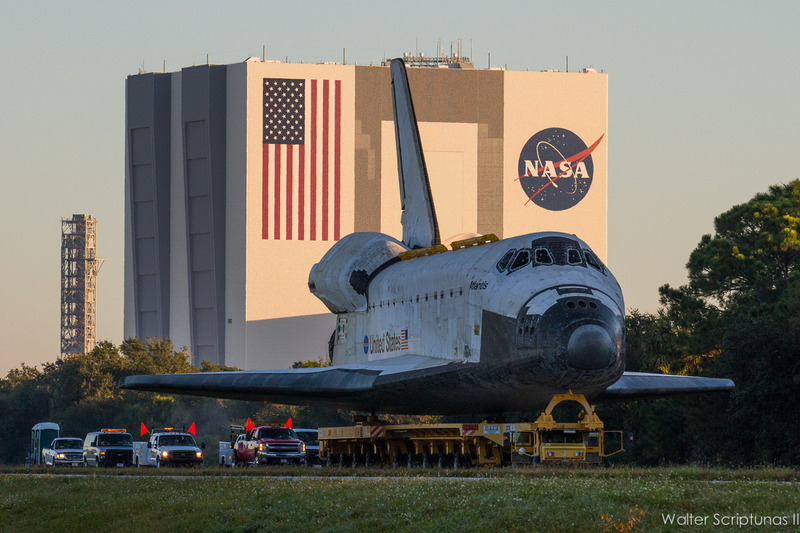 Atlantis emerges from the VAB before sunrise Friday morning. 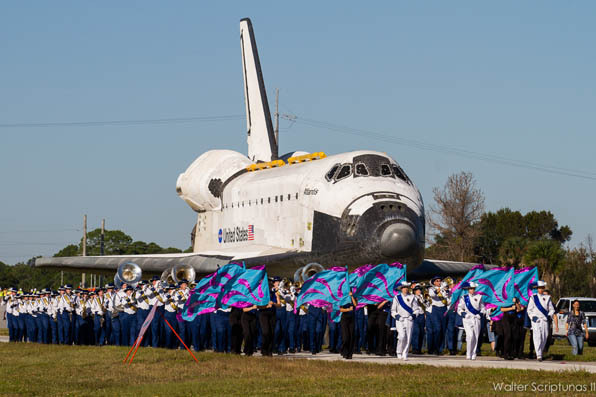 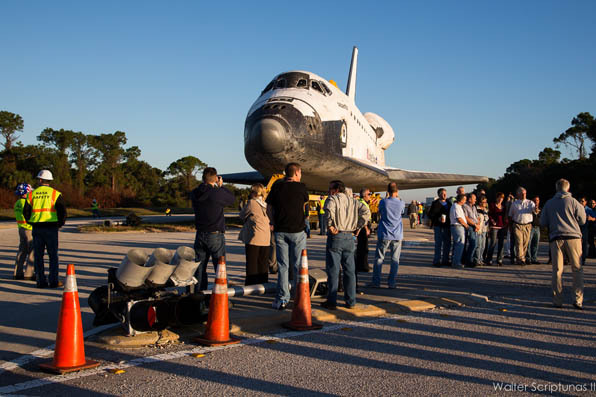 Space shuttle workers gather to say goodbye to the final orbiter to ship out. 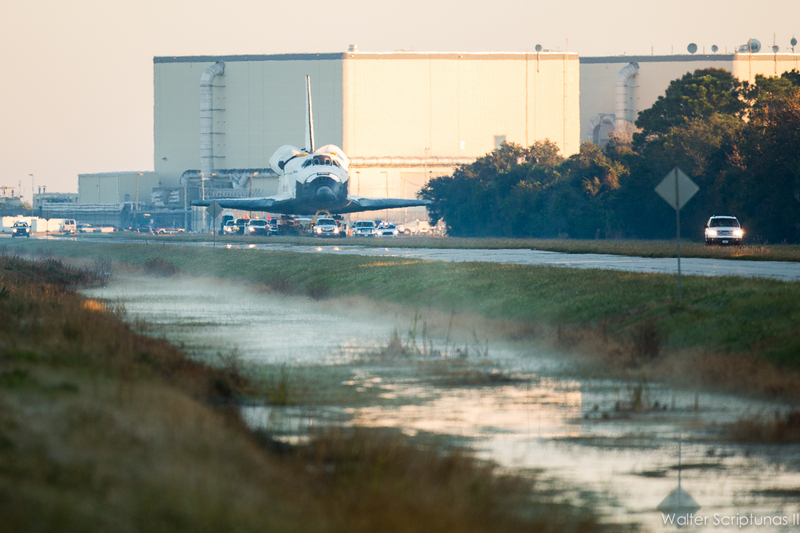 Atlantis passes by the former space shuttle processing hangars. Heading south on State Road 3. 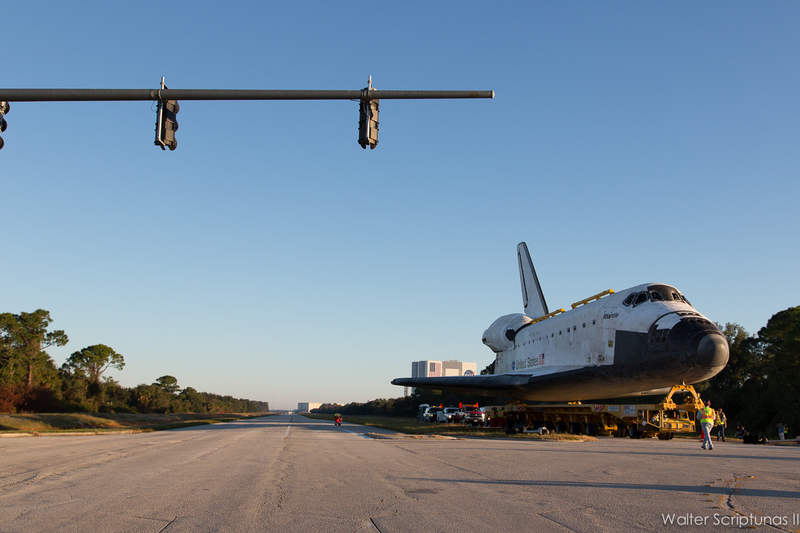 Passing the intersection as the sun rises. The Titusville High School marching band leads Atlantis. 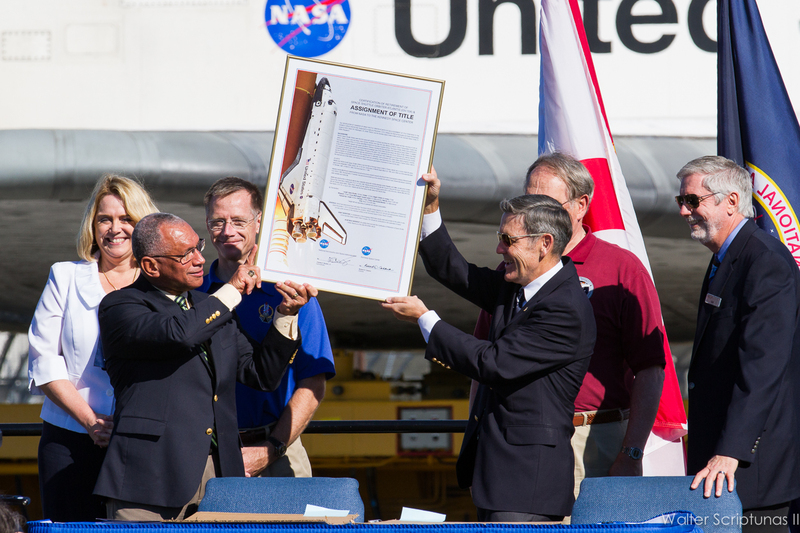 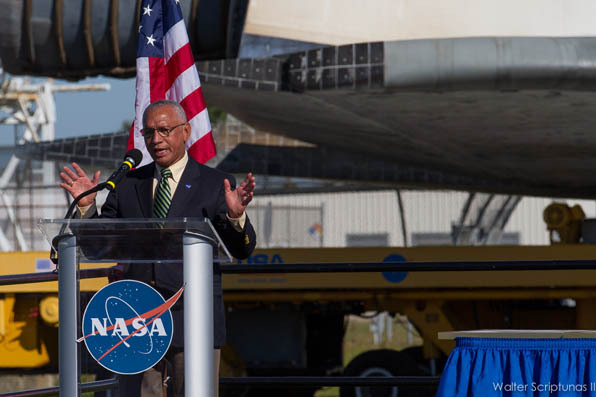 NASA Administrator Charlie Bolden addresses Atlantis retirement ceremony. Signing the ceremonial retirement document. 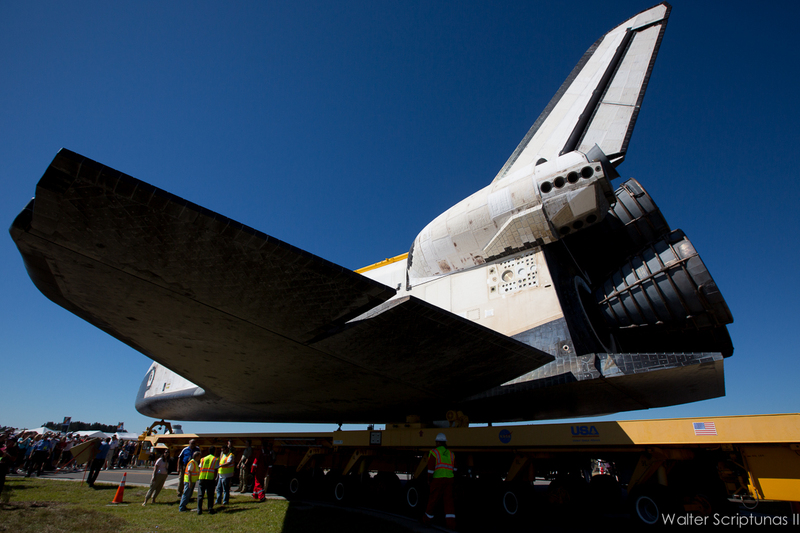 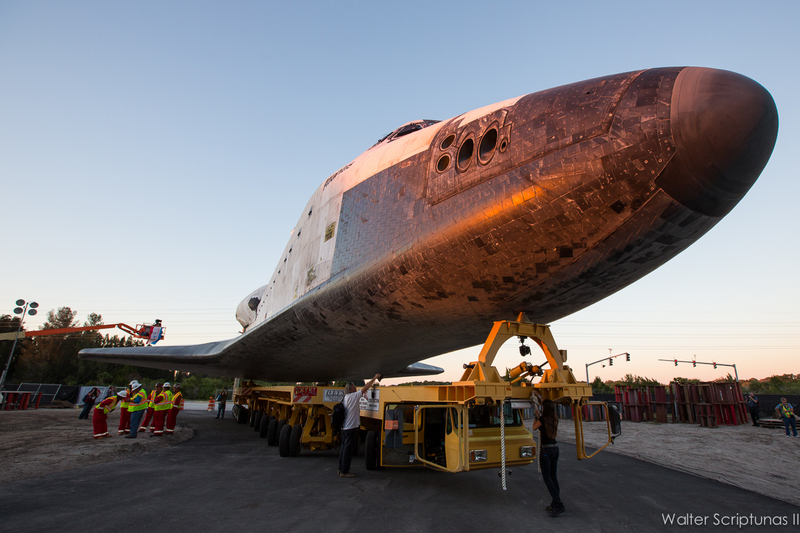 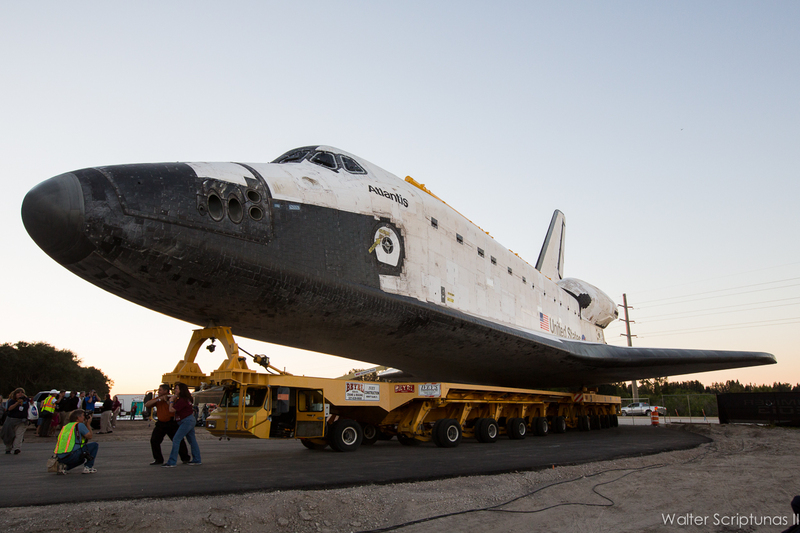 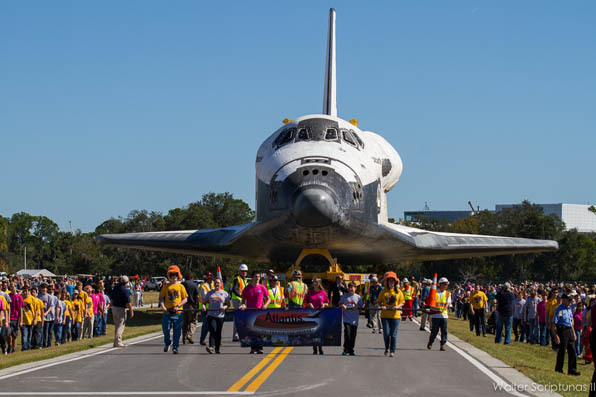 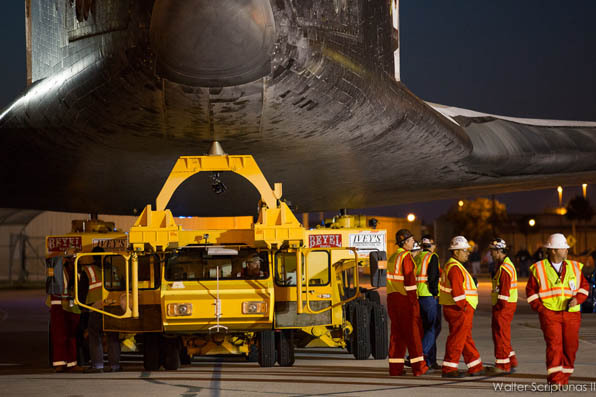 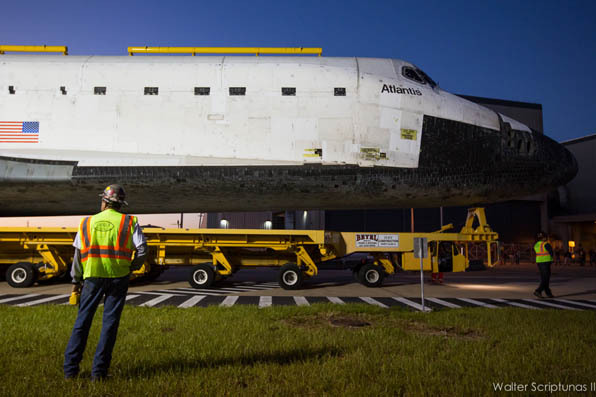 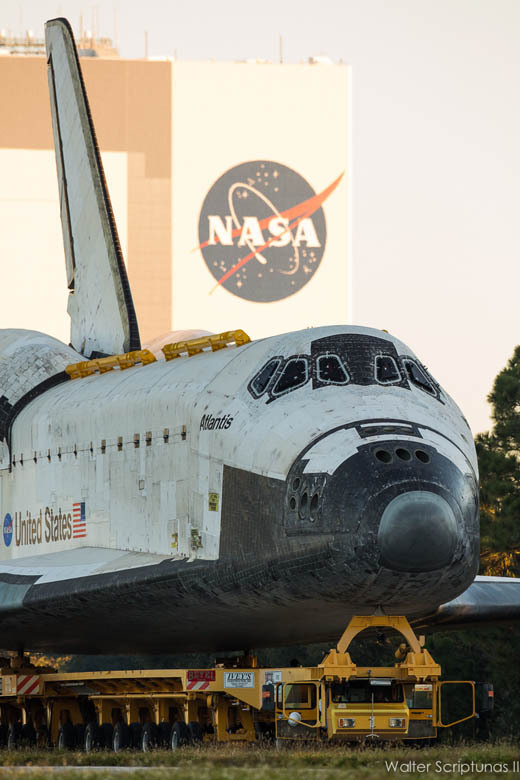 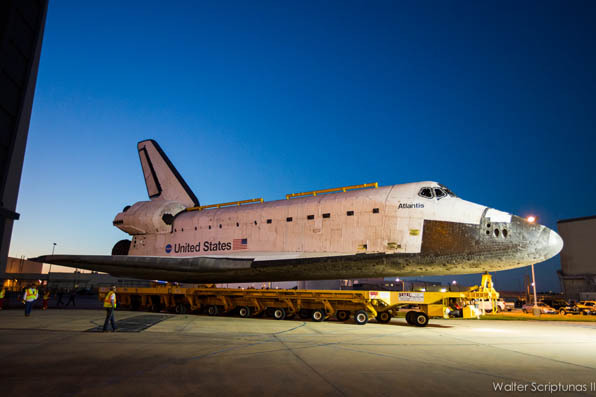 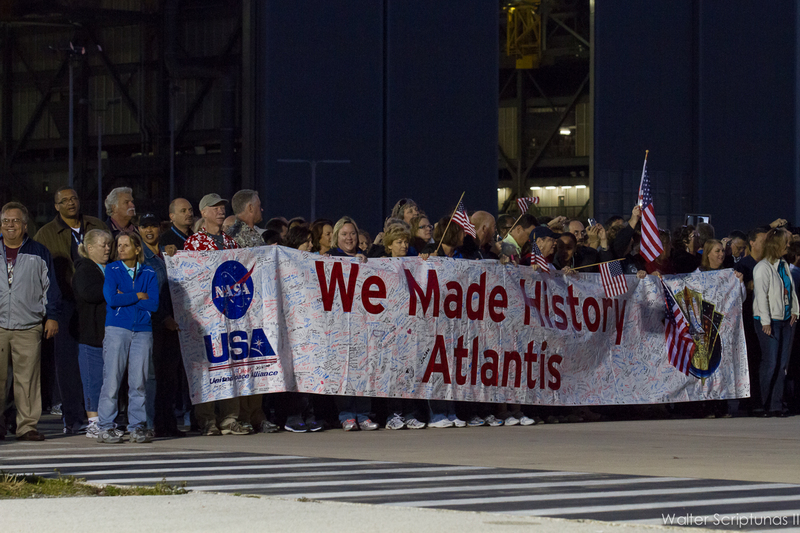 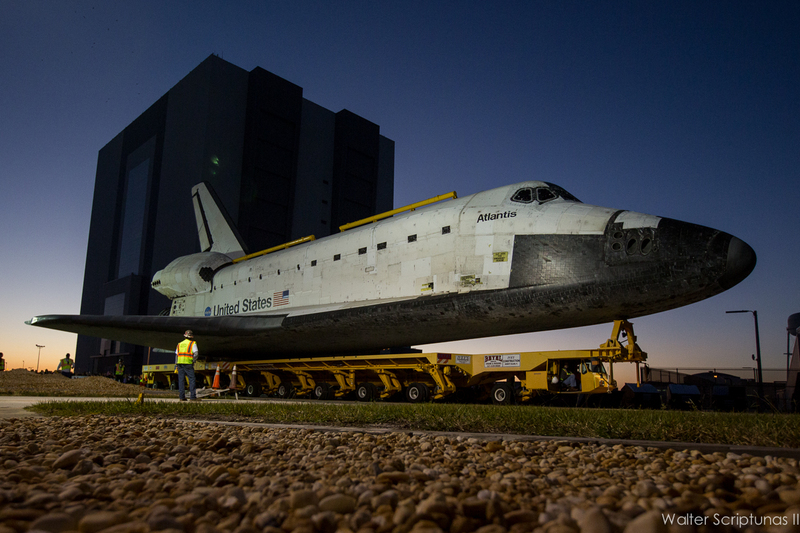 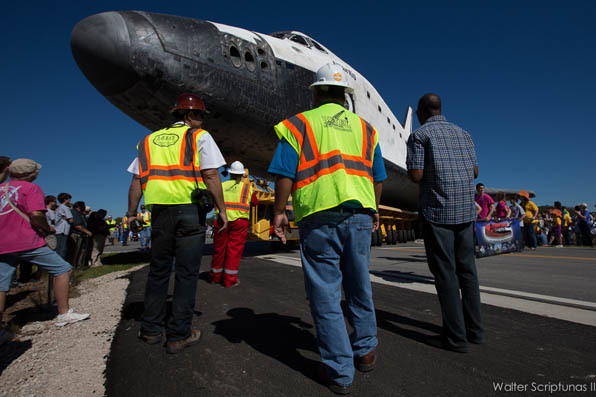 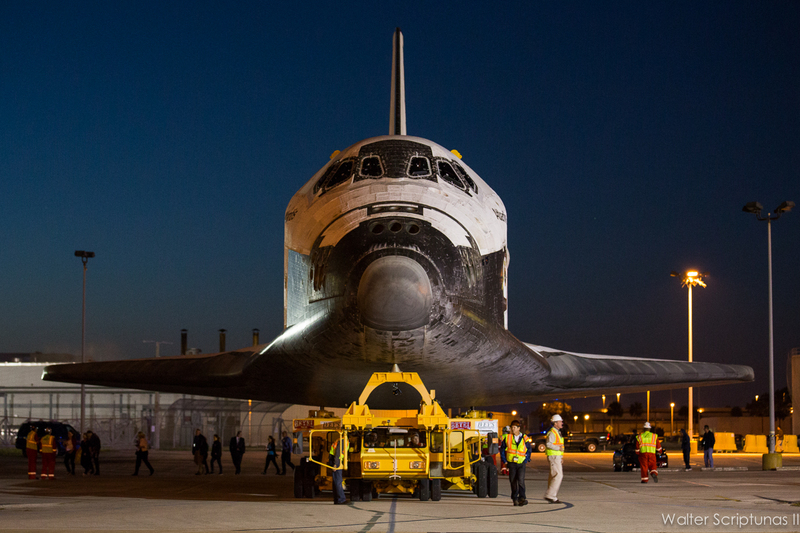 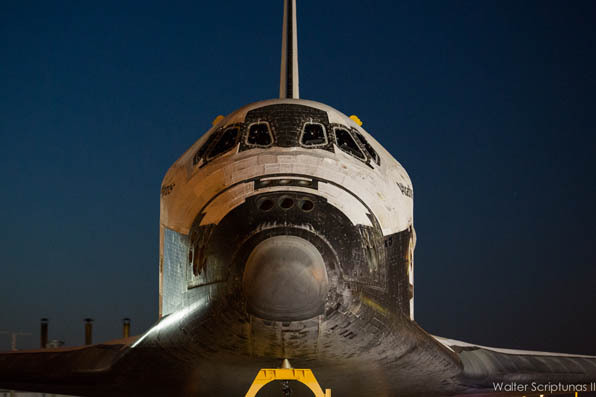 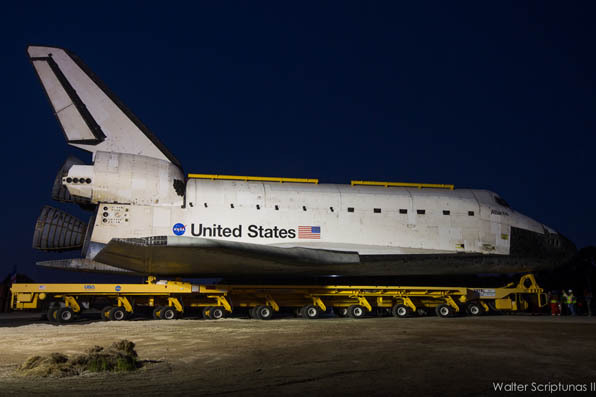 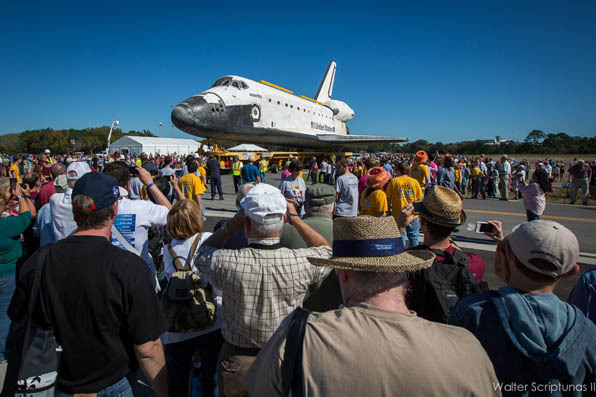 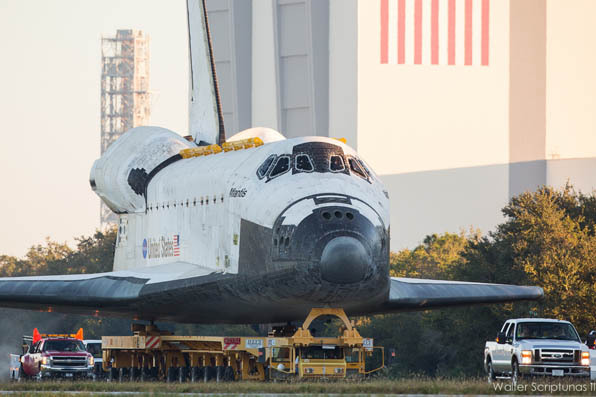 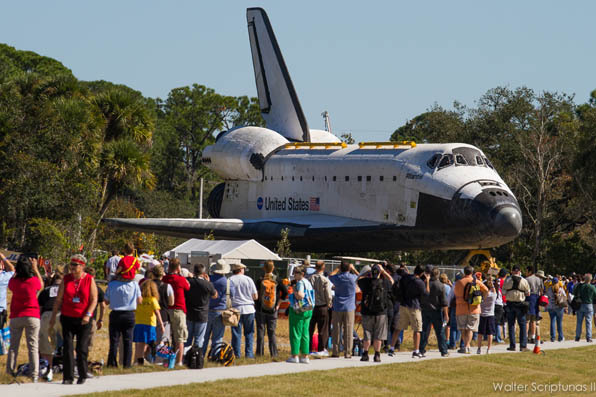 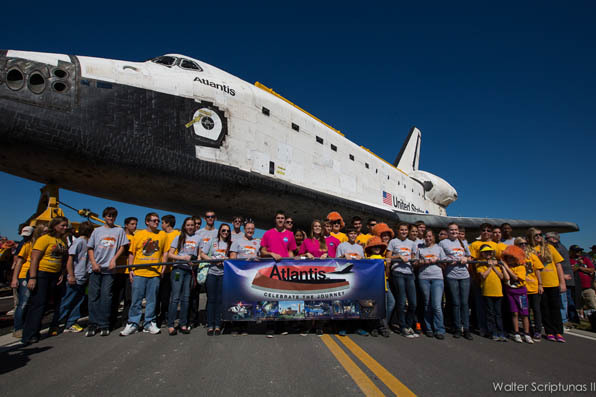 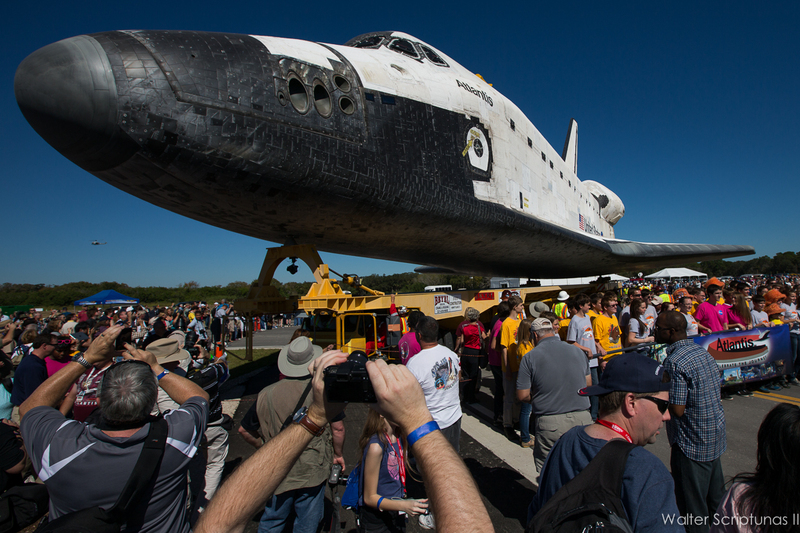 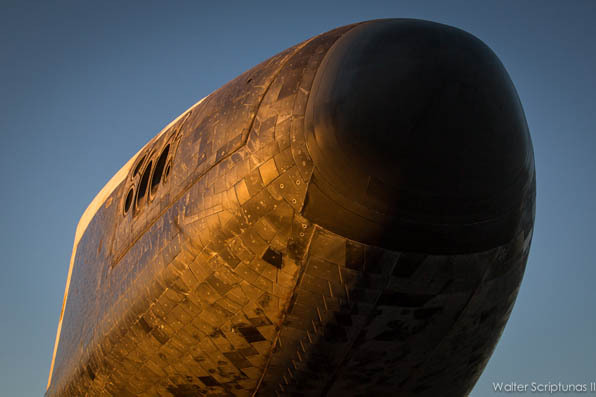 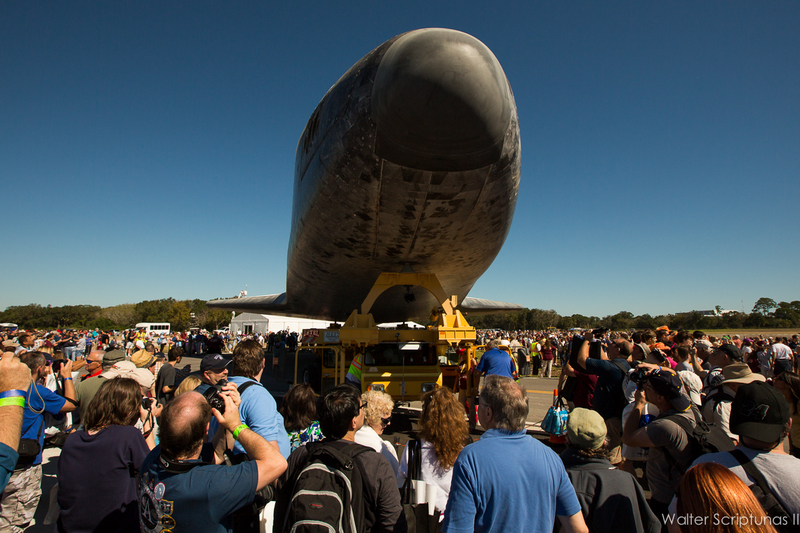 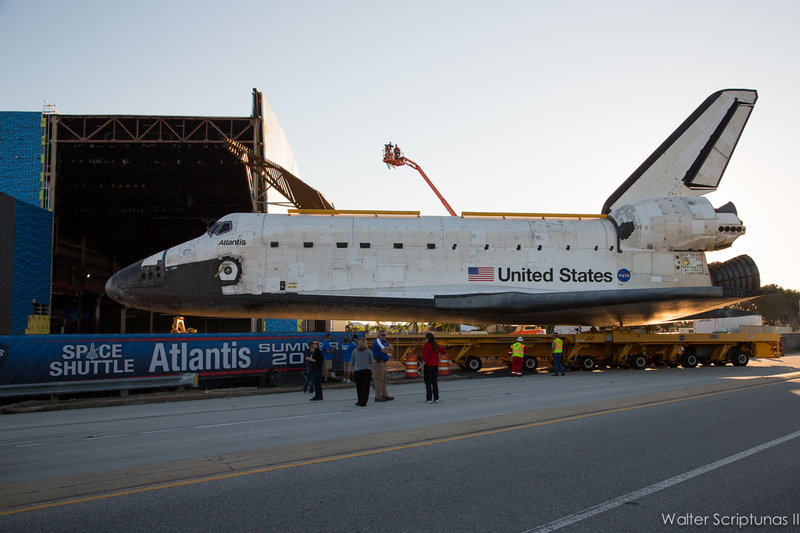 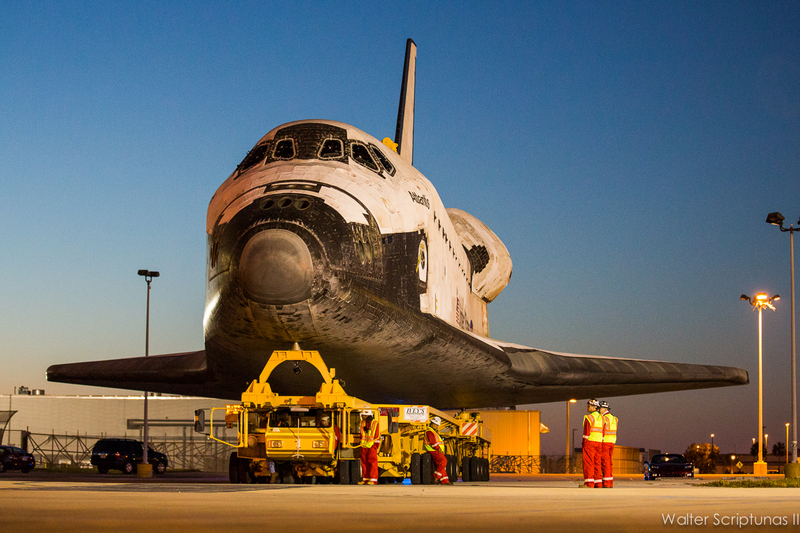 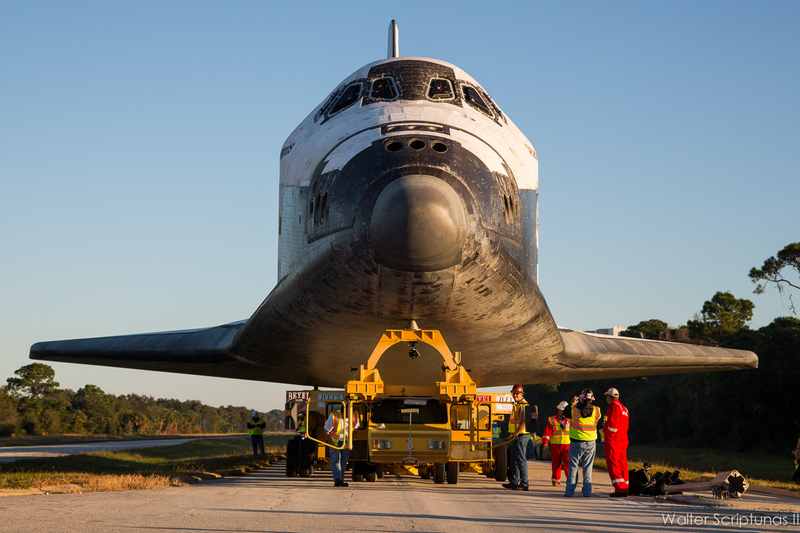 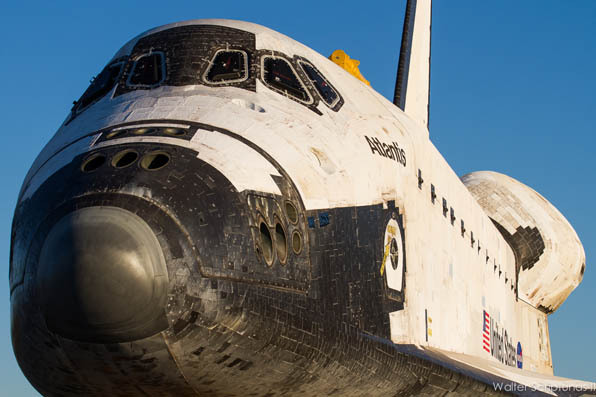 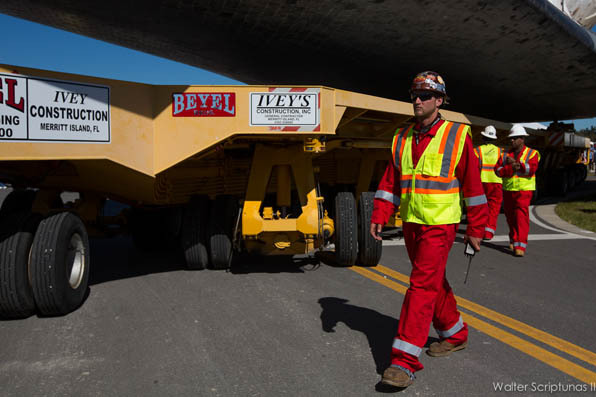 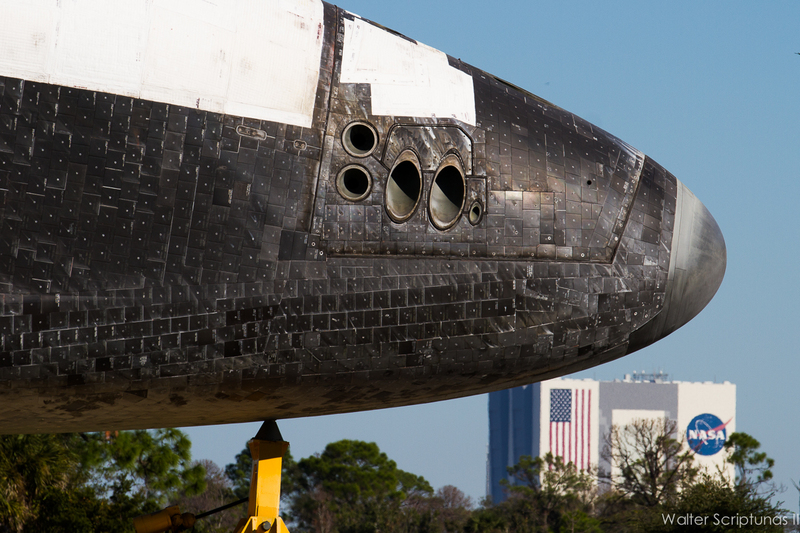 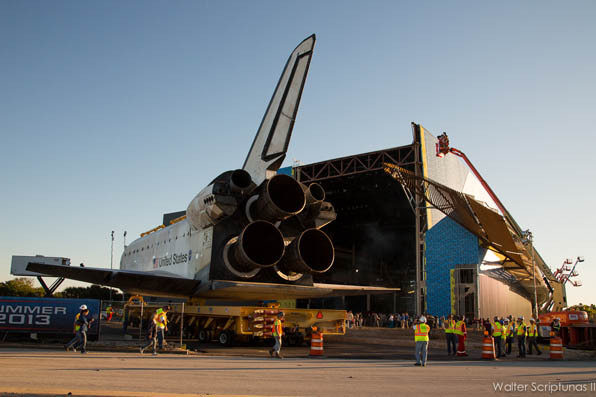 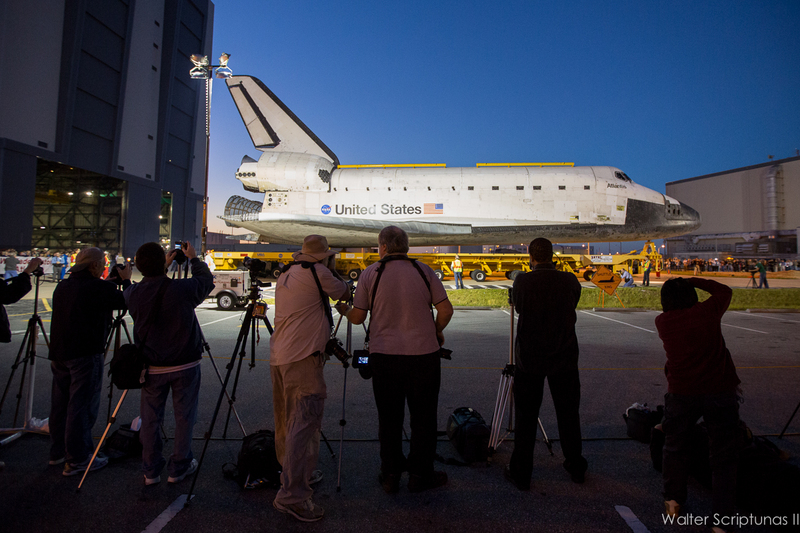 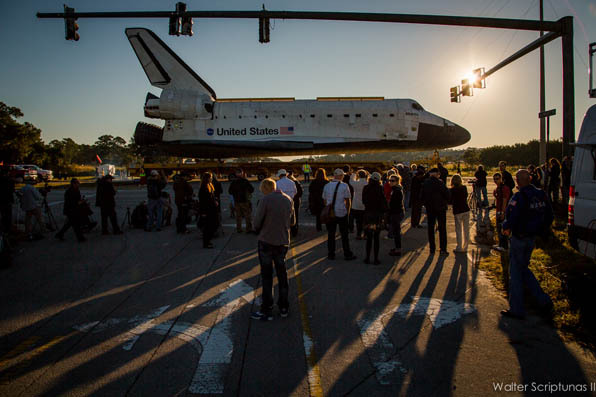 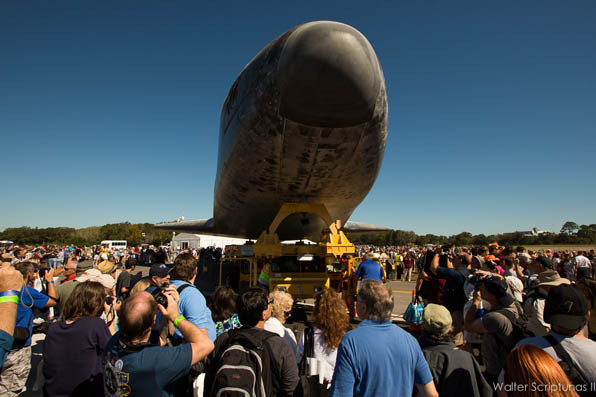 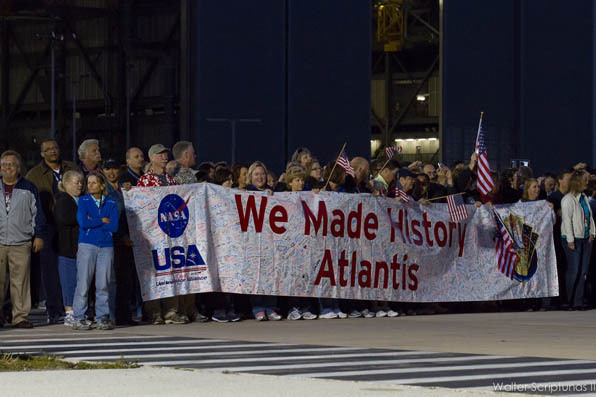 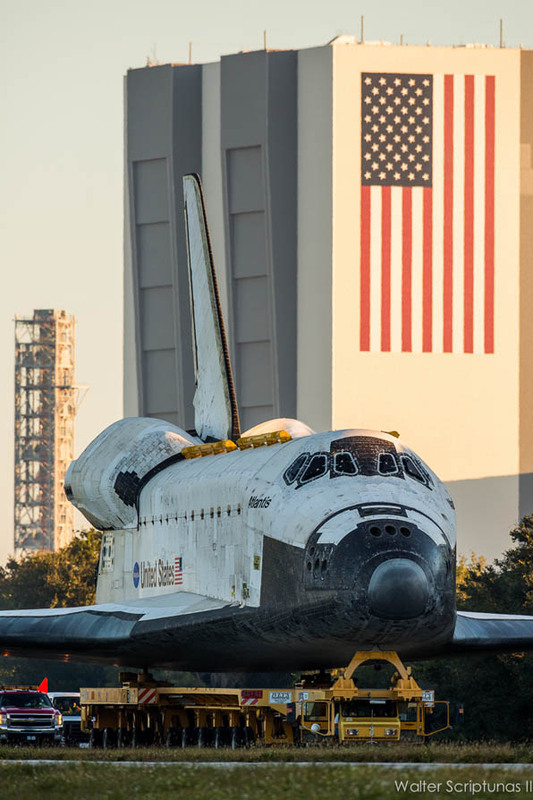 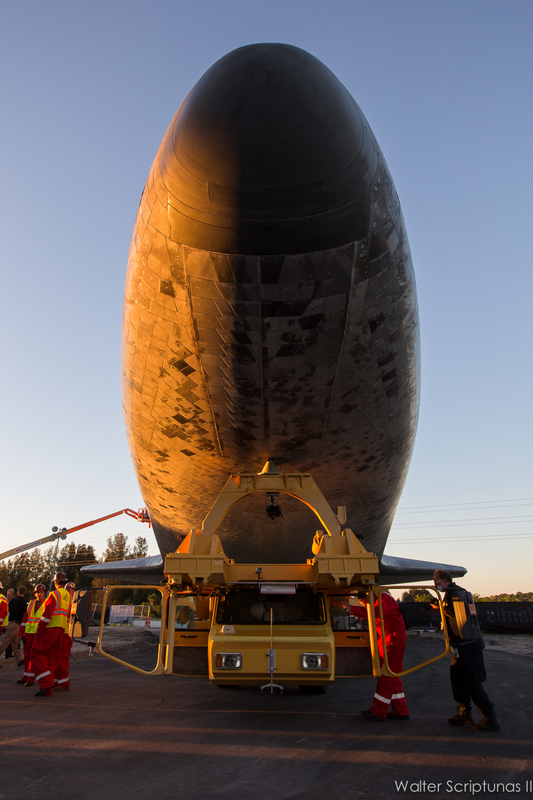 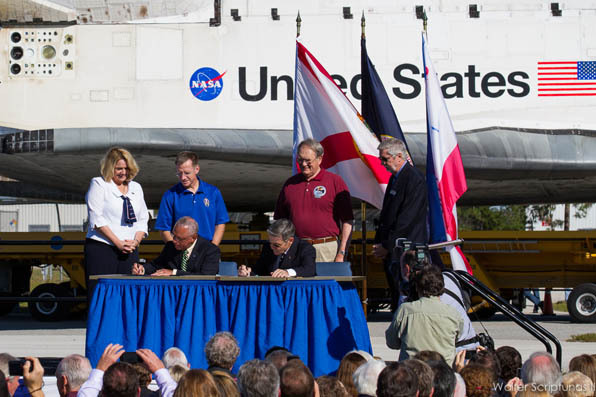 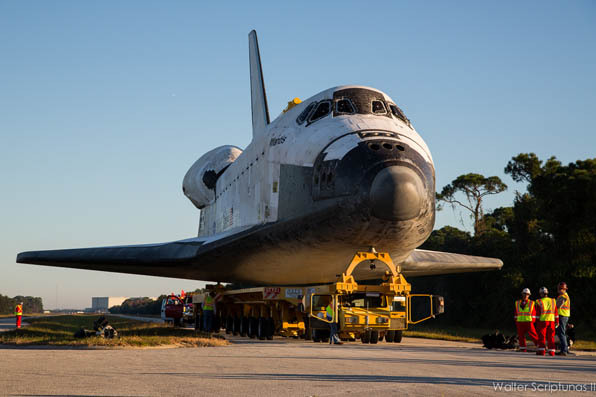 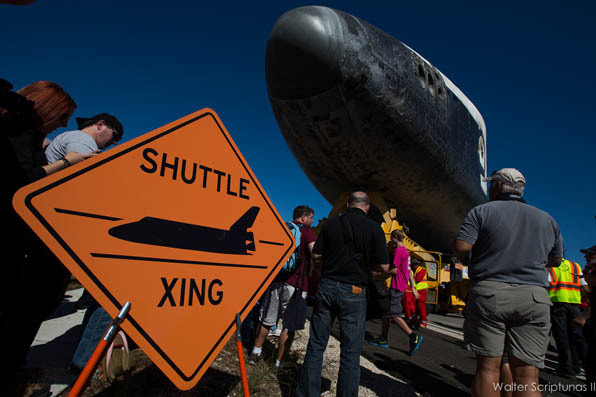 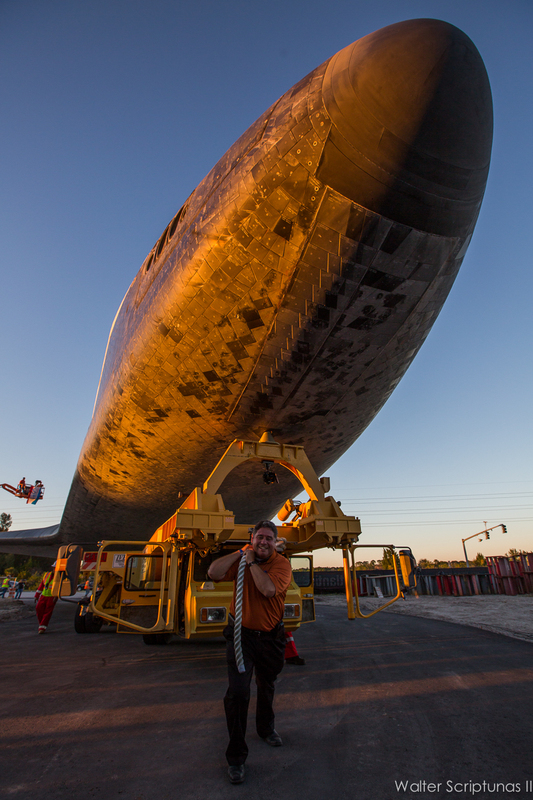 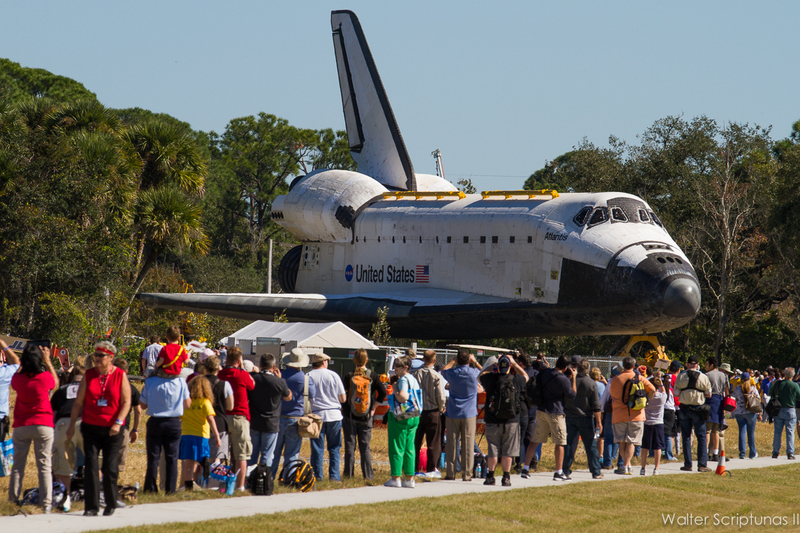 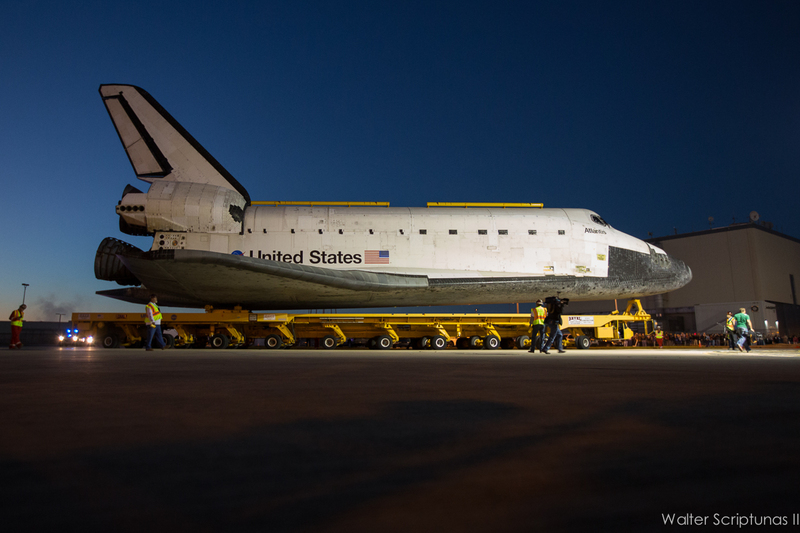 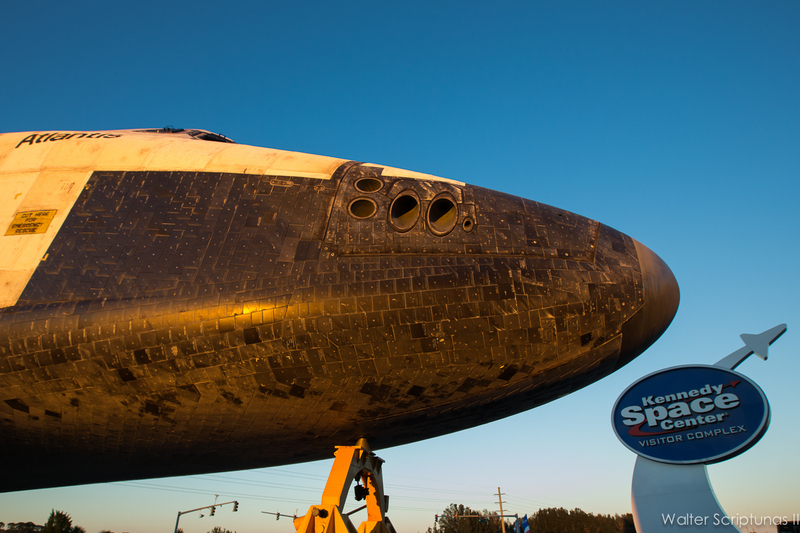 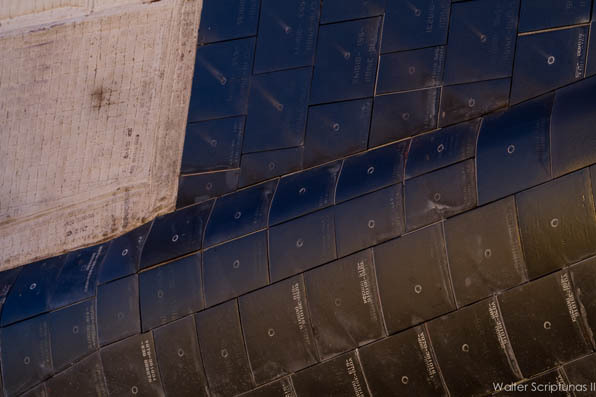 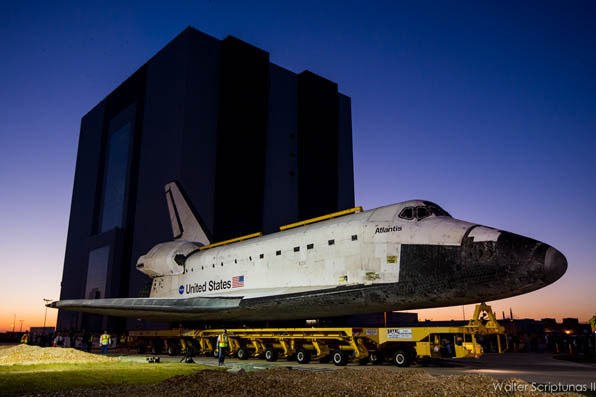 Atlantis enters Exploration Park for public viewing opportunity. Turning off of 405, the NASA Causeway. 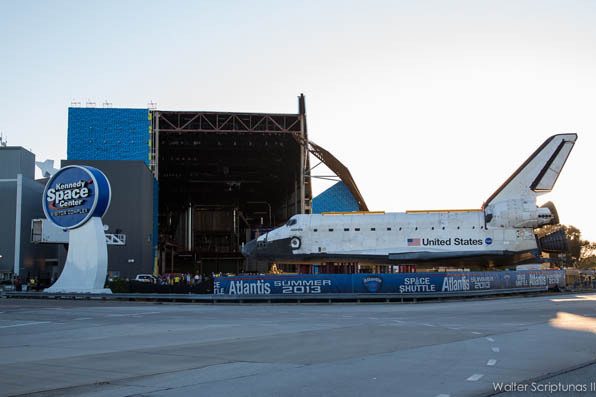 The new $100 million attraction being built to showcase Atlantis. 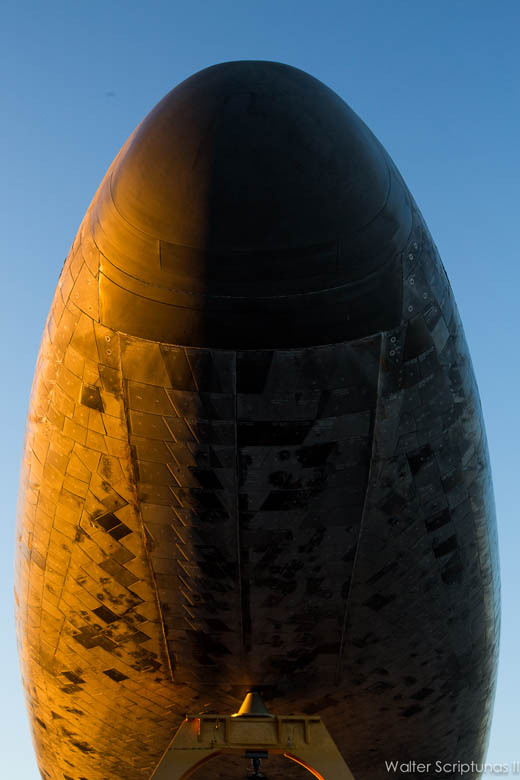 The sun sets on Atlantis. 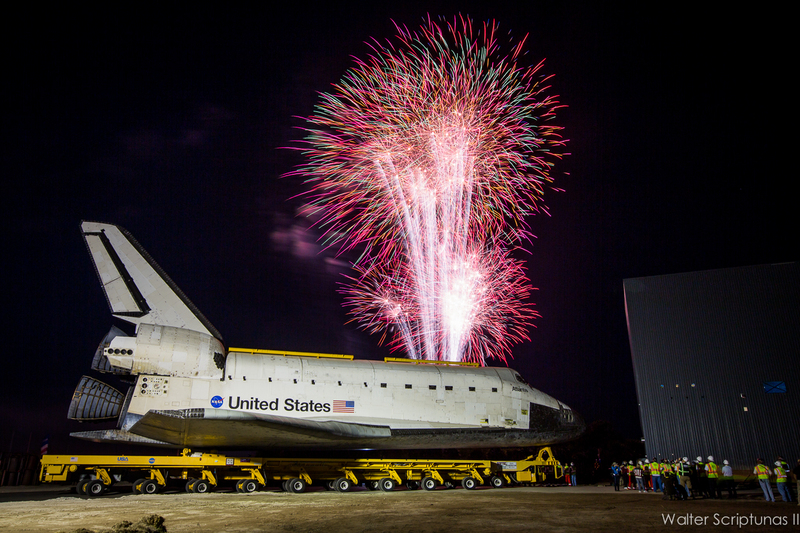 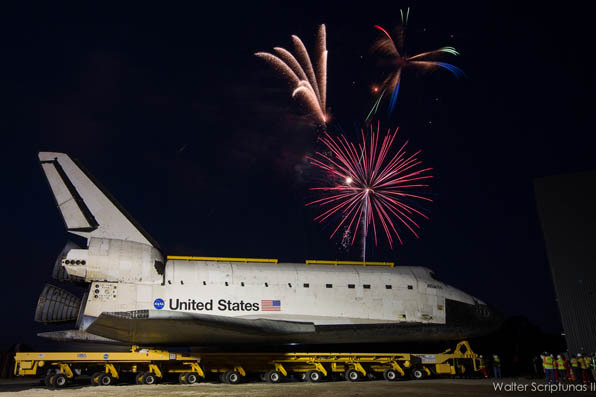 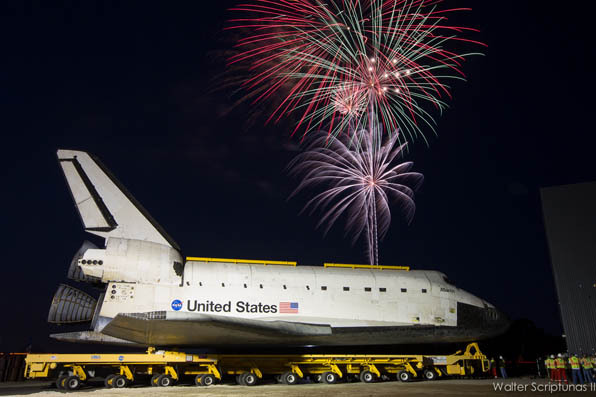 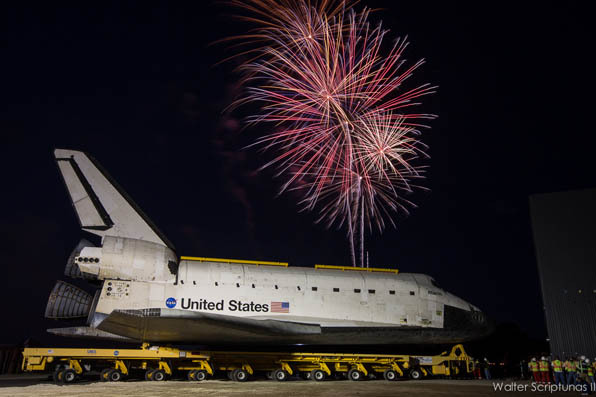 A fireworks show to welcome Atlantis.